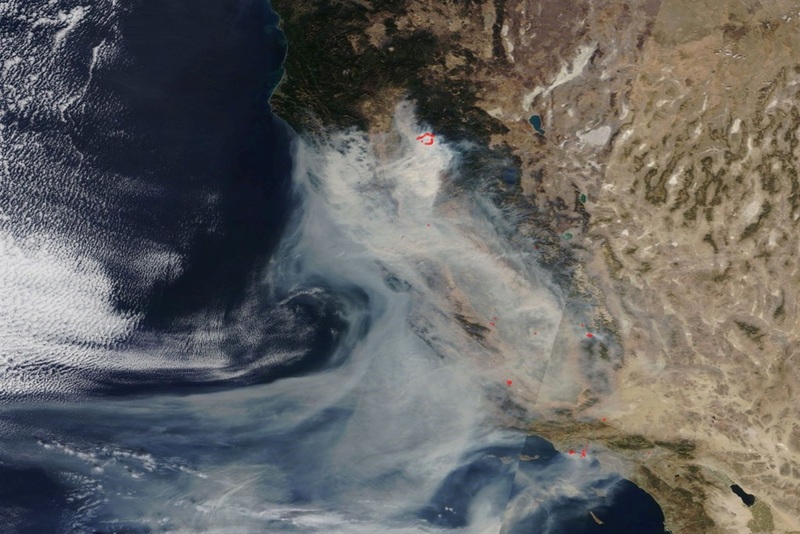 As of Monday, three major wildfires - the Camp, Hill, and Woolsey fires - have killed dozens of people and scorched hundreds of thousands of hectares of forests and infrastructure. Firefighters are struggling to contain the biggest blazes. 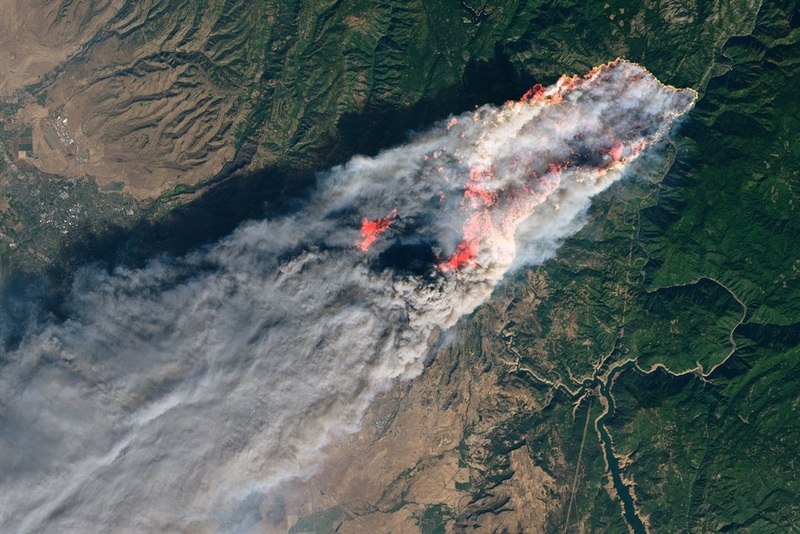 The Camp Fire, which is located north of Sacramento, quickly burned the entire town of Paradise to the ground. 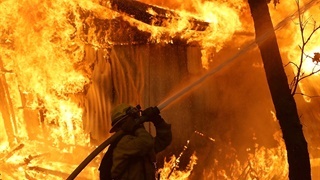 It's now California's most destructive wildfire in terms of structures destroyed, and is one of the state's deadliest blazes ever. Parts of the beach community Malibu went up in flames in the Woolsey Fire, sending Hollywood actors and actresses running for safety. So far, these two rapidly evolving disasters has left at least 31 people dead, some of whom were killed while trying to escape in cars. 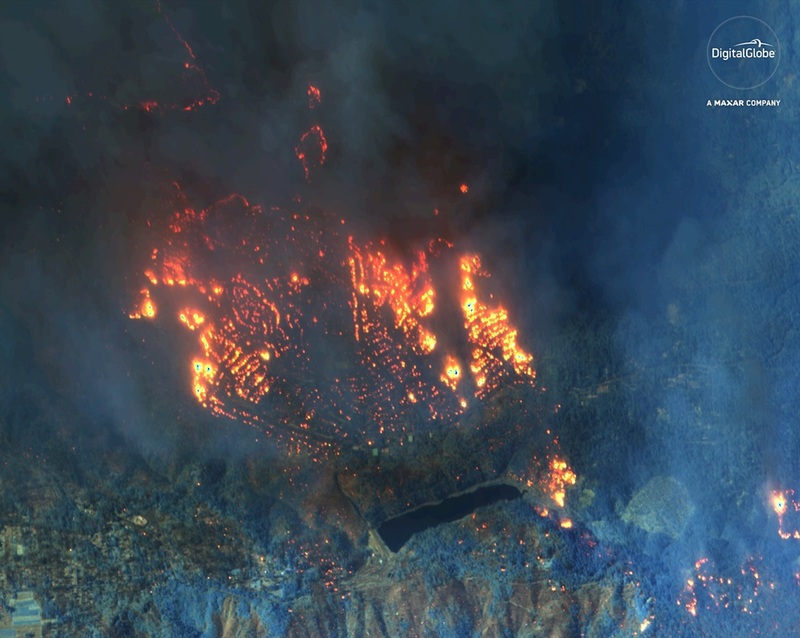 Satellites owned by NASA and commercial companies such as DigitalGlobe are recording images of the fires from space. These photos provide an incredible view of how large and intense the fires are, and how quickly they've grown. 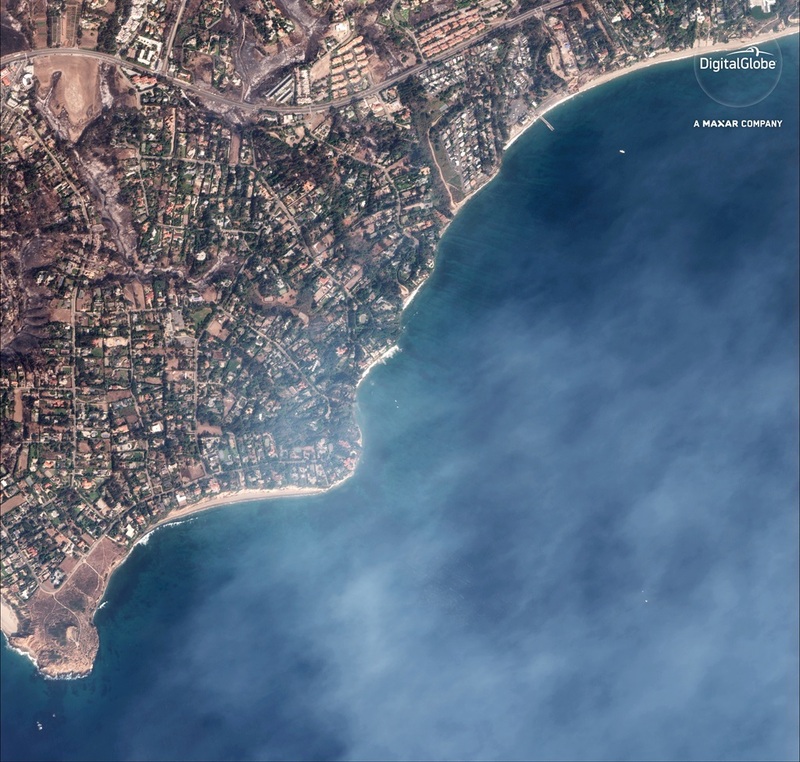 Here are some of the best satellite pictures of the fires so far. 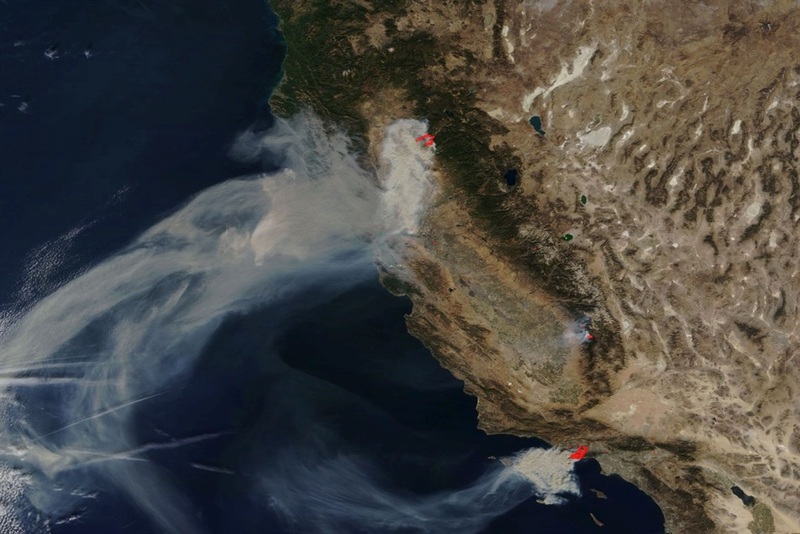 As of Monday, California was dealing with three major wildfires. 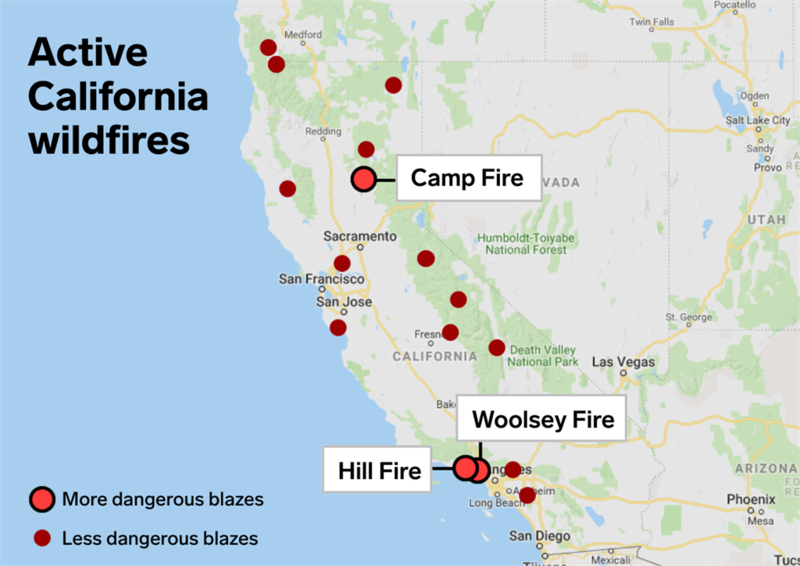 The Camp Fire is located about 130km north of Sacramento, while the Woolsey Fire and smaller Hill Fire are outside Los Angeles. On Thursday, dry, warm winds — including gusts of about 80km/h - blew through northern California. Climate change is drying out more vegetation in the region, increasing the risk that spreading embers will grow into larger blazes. The gusts helped spread the Camp Fire. As of Monday, that fast-burning blaze had burned more than 6,400 homes, making it the most destructive wildfire in California history. 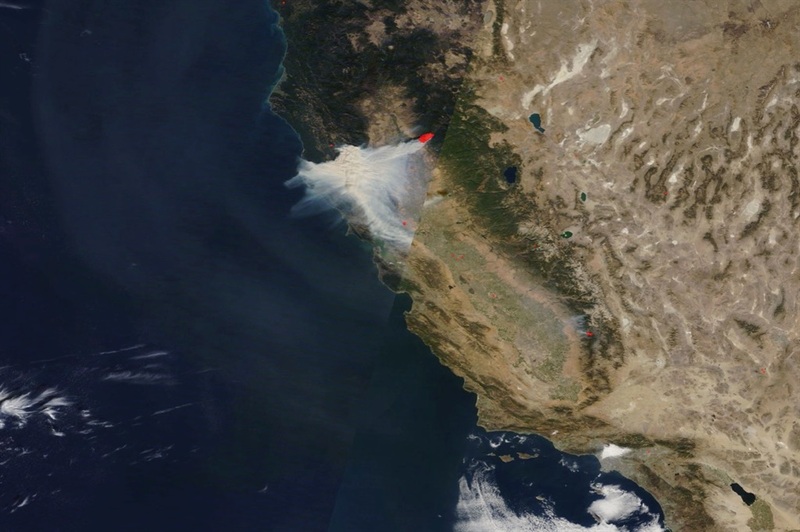 The Camp Fire grew at a rate of about 80 football fields per minute. 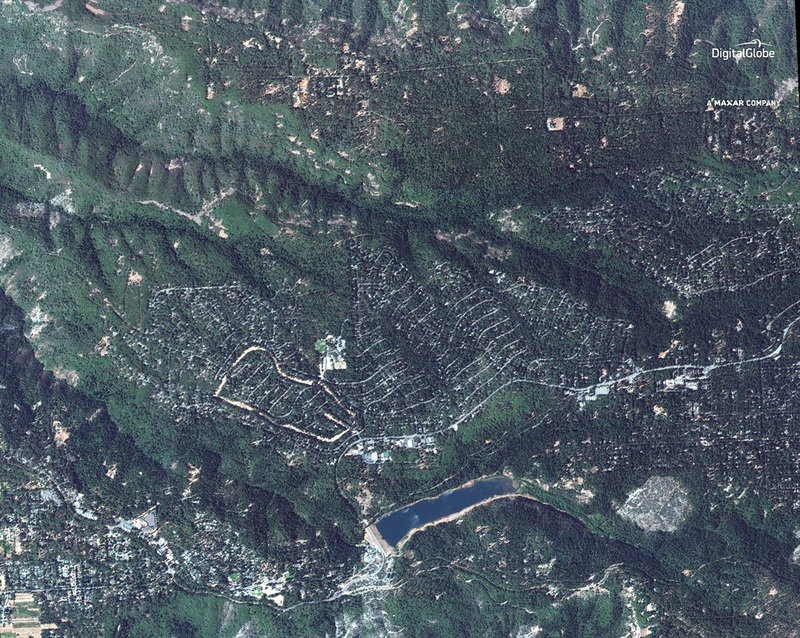 This breakneck expansion pushed the blaze into the town of Paradise, which had a population of about 27,000. 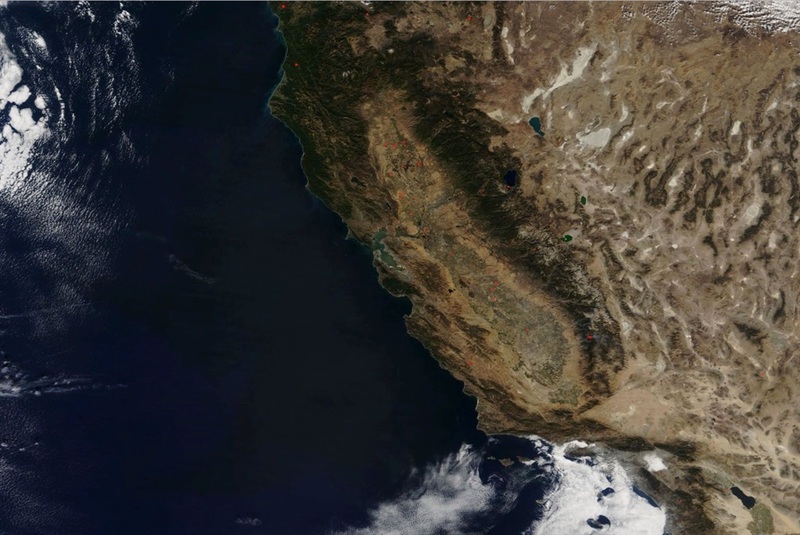 DigitalGlobe took this regional photo on Friday using its WorldView-3 satellite. 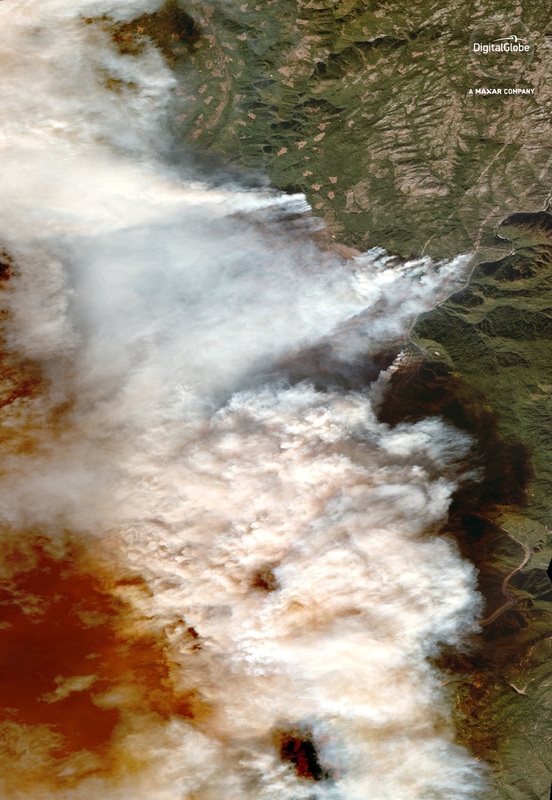 By recording infrared light, the satellite's view can penetrate thick smoke and detect fires. 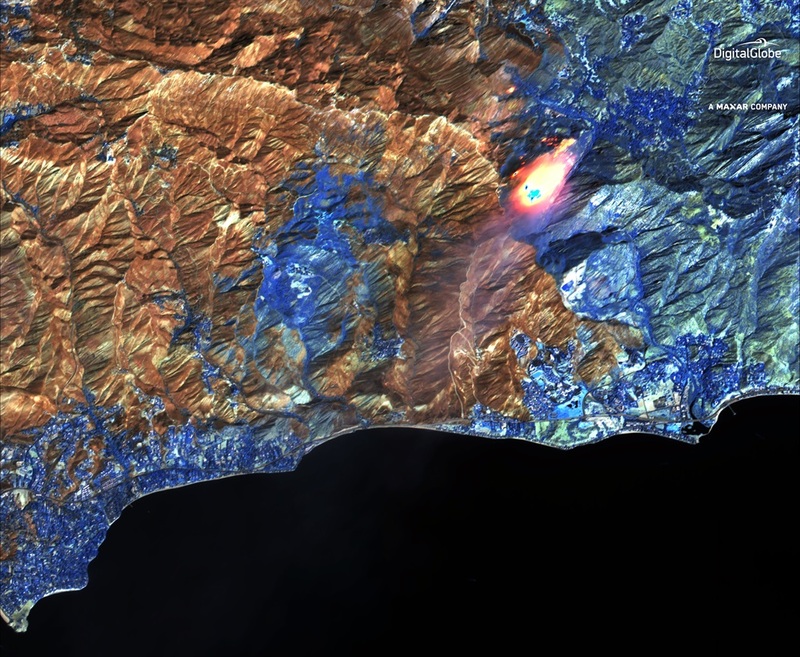 Healthy vegetation is shown in blue, active fires glow, and scorched areas look yellow-green and yellow-orange. The town of Paradise is in flames to the left in this picture. Here's a close-up view of Paradise as seen from space in September. 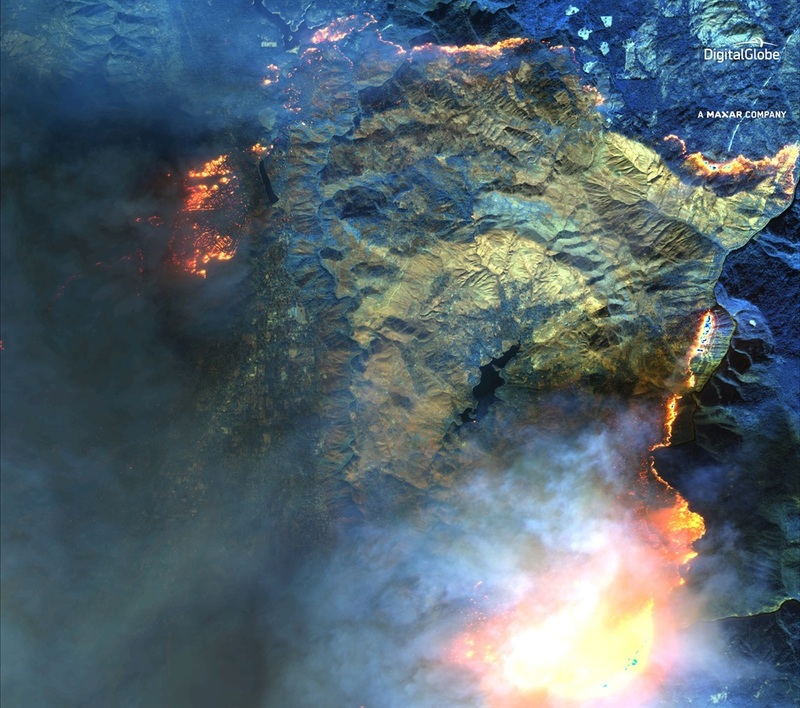 This WorldView-3 image shows the same view of Paradise on Friday, in flames. The entire town was levelled in a day, and the fire has killed at least 29 people. This makes the Camp Fire as deadly as the Griffith Park Fire of 1933, which was previously considered California's deadliest wildfire ever. 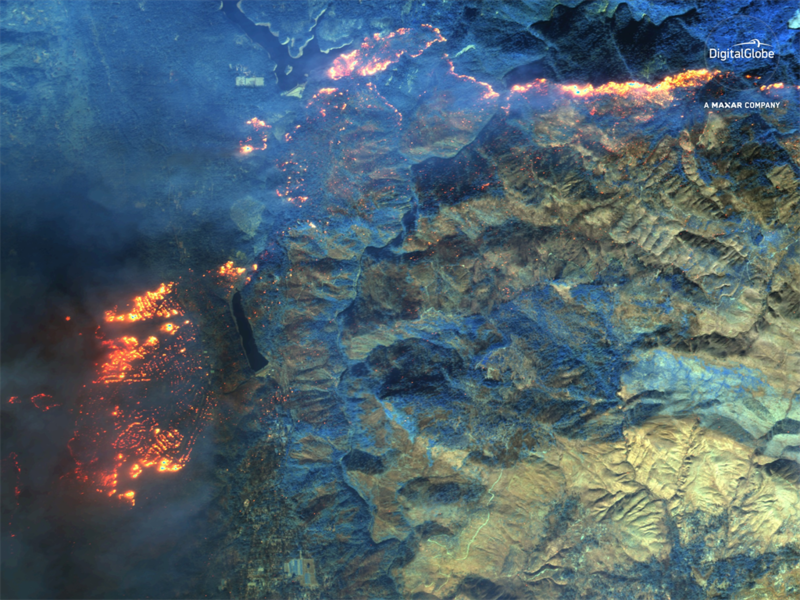 As the Camp Fire raged, the Hill and Woolsey fires also grew, You can see those fires outside of Los Angeles in this satellite image from Saturday. 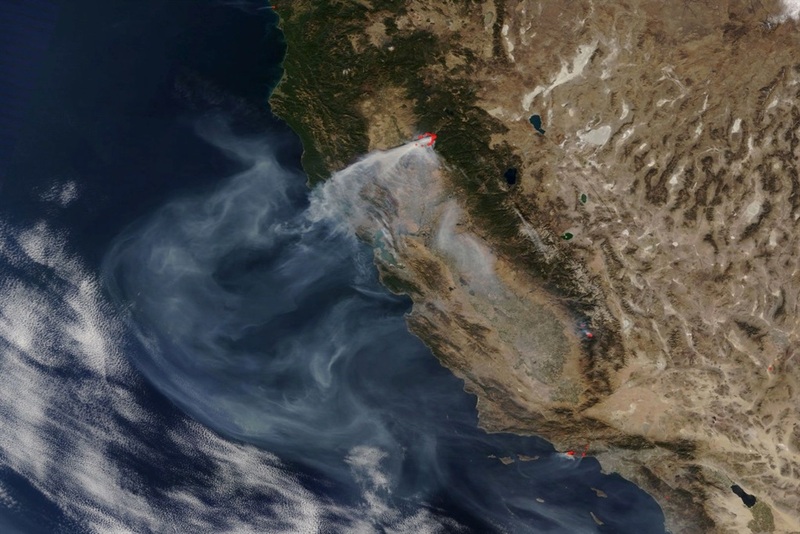 All three wildfires covered most of California in a haze of smoke over the weekend. 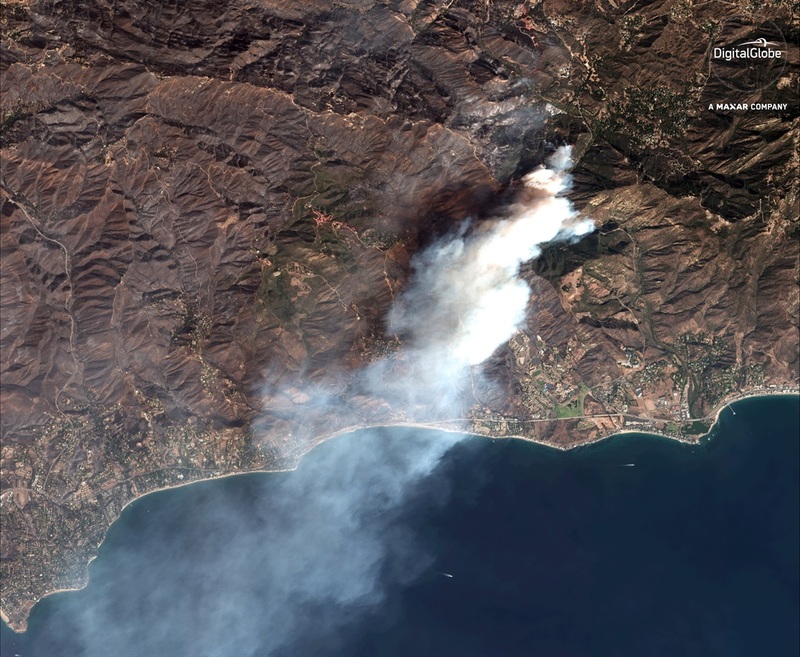 As of Monday morning, the Woolsey Fire had scorched about 37,000ha of land. 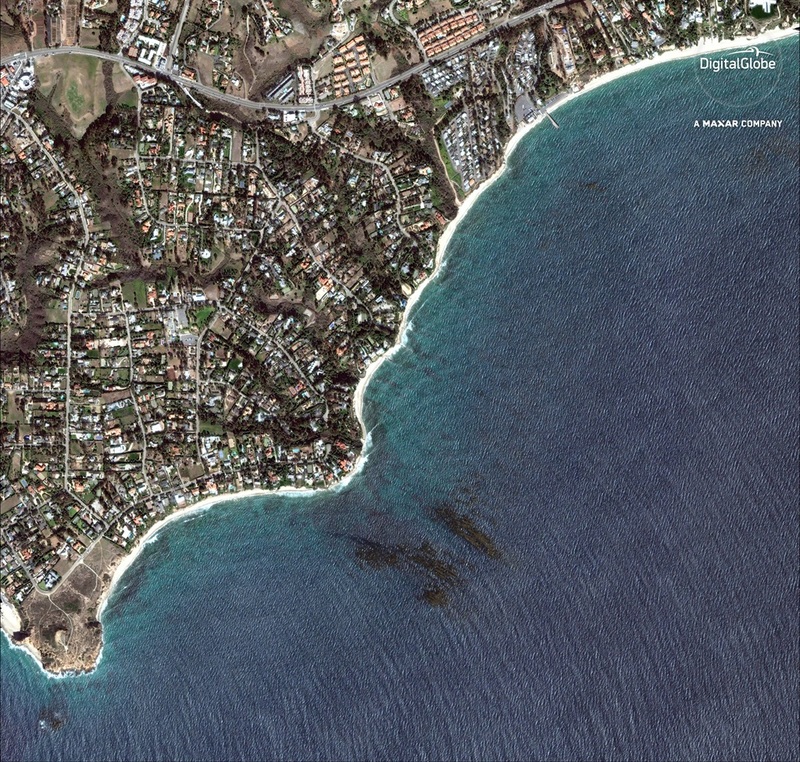 This view shows the Malibu area on Sunday. WorldView-3's infrared camera peered through the smoke in the mountains to show this view of the fires on the same day. Here's Point Dume in Malibu in February 2018 — before the Woolsey Fire. 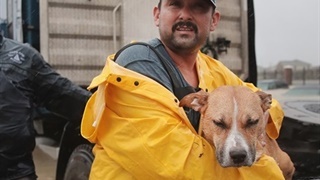 By Sunday, the wildfire had torn through canyons in the beach community, burning homes and killing two people in a car. 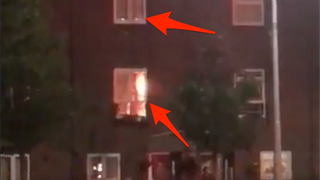 The blaze sent many celebrities fleeing and torched some of their houses. As of Monday morning, the Woolsey Fire was about 20% contained and the Camp Fire was about 25% contained. The Hill Fire was about 80% contained.